Great paleo treat to kick off the fall season! Why in the world is pumpkin bread called “bread”? Why not pumpkin cake? Because I think it would be more apt for sure! 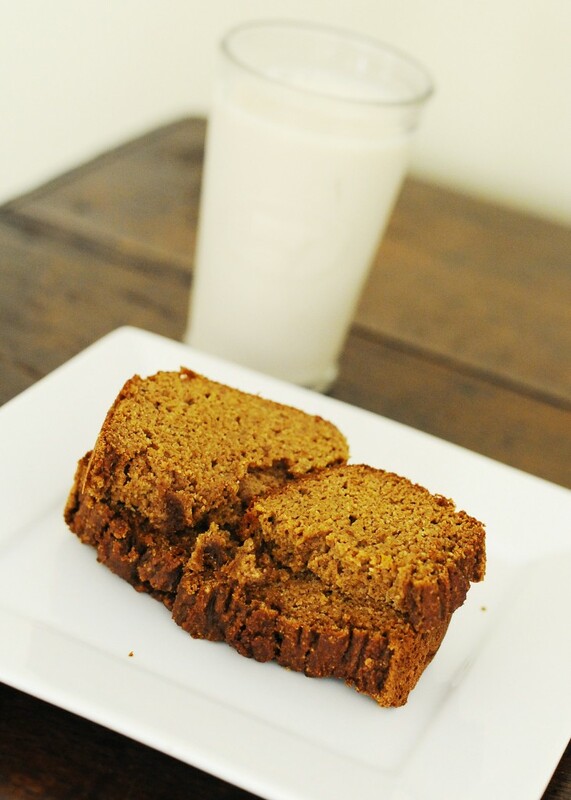 So with the fall season finally here, we wanted to try to figure out how to make some pumpkin bread and boy was it good! I was really happy how it turned out. The texture and flavor was amazing!! So the challenge with baking pumpkin bread is to actually make sure it’s somewhat dense. With almond or nut flours, many times you’ll get something a little lighter and fluffier than the original versions. So in order to get the texture (and taste) just right, I thought coconut flour would add a little extra heaviness. The issue sometimes with substitutions like coconut flour is you have to add in more liquid like eggs or coconut milk. Coconut flour really tends to soak up moisture. Typically, a good rule of thumb, is for every 1/2 cup of coconut flour you use (i.e. muffins and cookies), add in 6 eggs. I just used an additional 4 eggs since it was a “bread” and wanted it a little denser. 1. In a large bowl, mix all of the dry ingredients together. 2. In a medium sized bowl, mix all of the wet ingredients together. 3. Combine all ingredients together until the mixture is smooth. 4. 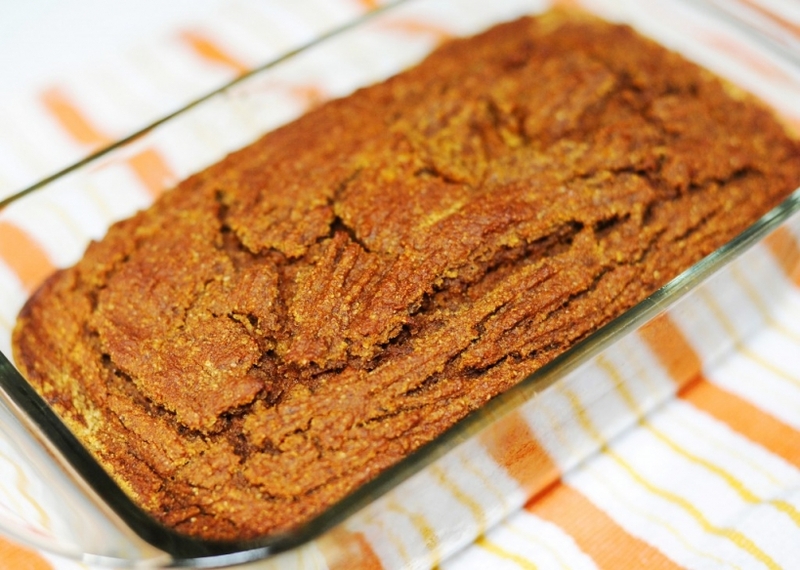 Spray bread/meatloaf dish with coconut oil. 5. Cook on 350 for 50-60 minutes or until the butter knife comes out clean. By the way, I know that that’s a big portion in the picture. Don’t worry, I would never eat that much in one sitting. No way. Instead I would cut little bites from the pan and just nibble. If my calculations are correct, about 25 nibbles, give or take (a lot), equal about one slice, don’t you think? The only thing I can’t figure out is who ate the rest of the bread since the dish is about halfway empty.